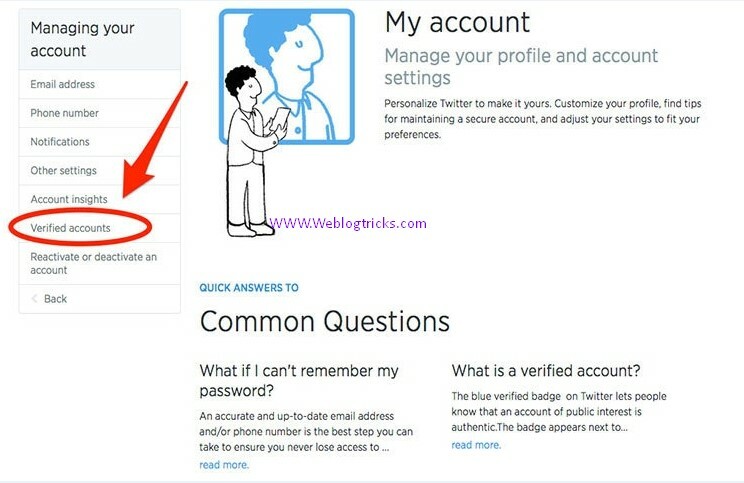 In social networking site, Twitter Account has a blue tick front of the name was just for limited to celebrities or brands. 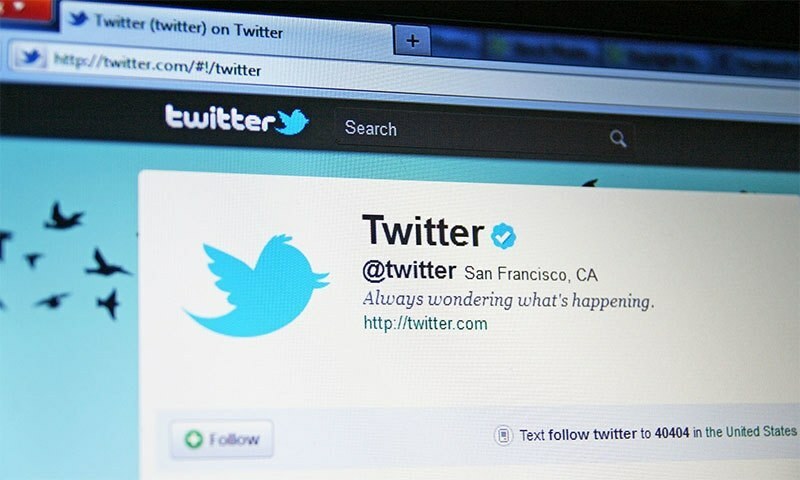 In fact, a certified Twitter account became a status symbol of an era. 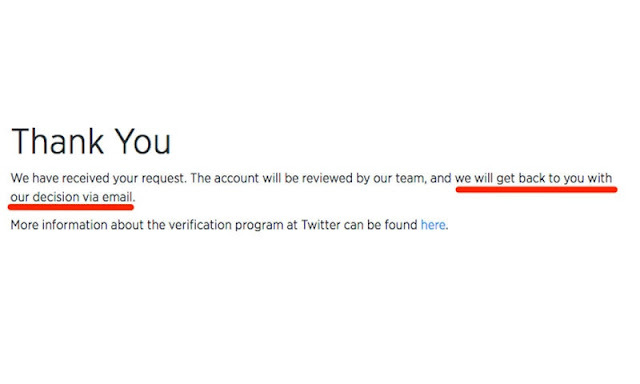 However, last year, Twitter Verification provided the opportunity to create your account verify with a Blue Tick. Although not easy to achieve tick Blue for account Because of the Twitter Account given award is to as users that belong to music, acting, fashion, government, politics, religion, journalism, media, sports, business and public interest sectors relationship. However, even this method is Very simple. Just you know that how to Make it. 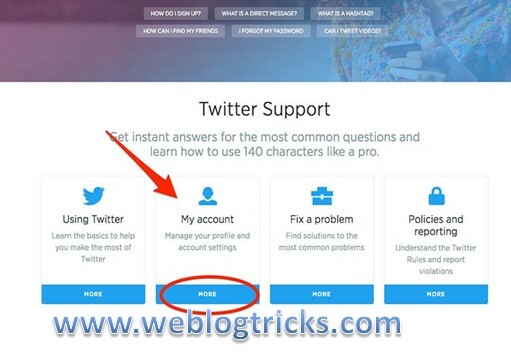 Please log on to the Twitter Support Page (support.twitter.com) for the start of the process and click the My Account. 2. Then click on Managing Your account. 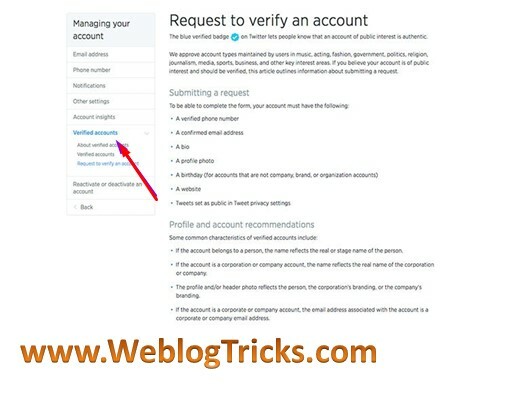 3, Then you will be directed to a page and will begin to form for verify to your account then where you have entered the phone number, Web sites, and other. 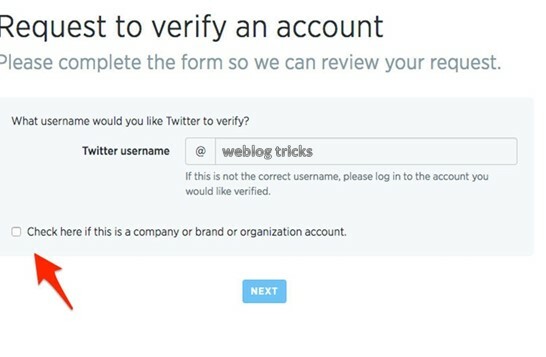 First, you have to write your Twitter username if you represent a brand or company you will also find the option to check the checkbox. While within 500 words to tell that why you want to do Verify Your Twitter Account. The difficult part will be completed and you may have to wait a few weeks in response to Basque. 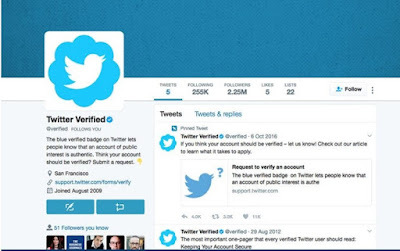 You seem the blue tick on your Verify Account that means your Twitter account has been verified by twitter. 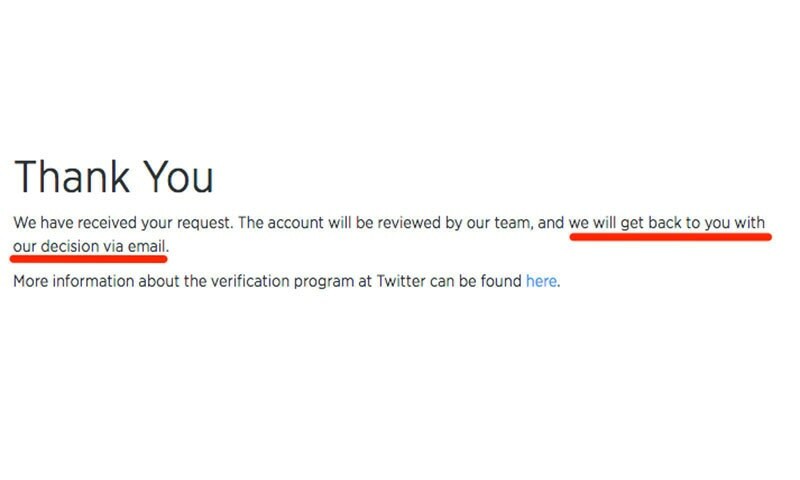 The Twitter account verify classified you receive an email from the Twitter and Twitter support team also follow you. 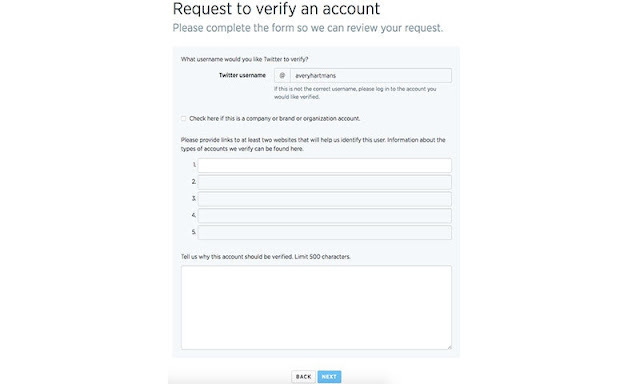 If the application is rejected then you will be informed in the email that why it happened. 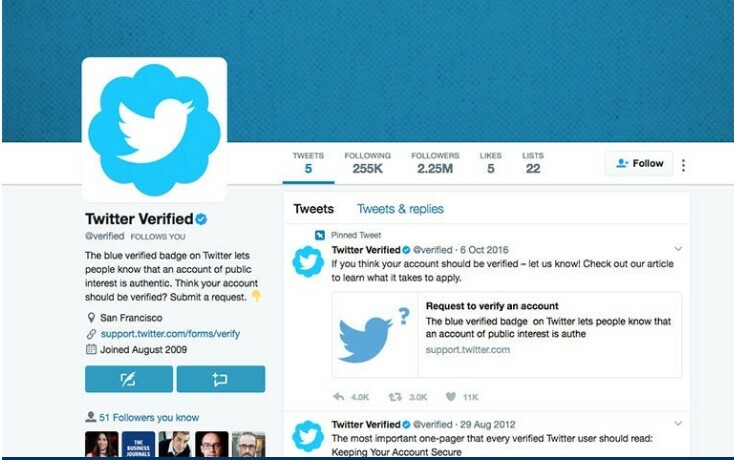 How to Verify Your Twitter Account without being famous, Twitter has a blue tick front of the name was just for limited to celebrities or brands.